Could this be the tallest building ever demolished? 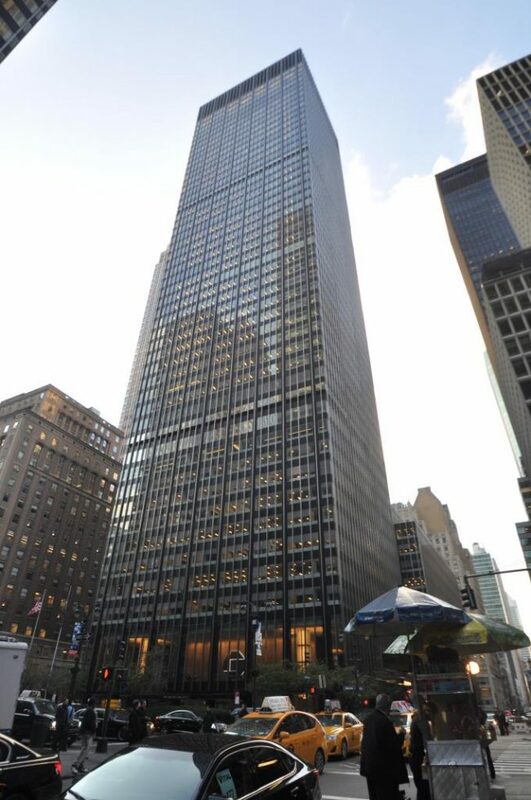 Demolition permits have been filed for the JPMorgan Chase HQ at 270 Park Avenue in New York. Although such claims will be hotly contested, media reports suggest the building will be the tallest planned demolition in history. The filing is a significant step for the bank on the way to replacing the 1.5-million-square-foot Modernist tower previously known as the Union Carbide Building with a 2.5-million-square-foot skyscraper, to be designed by British Pritzker Prize winner Norman Foster/Foster + Partners architectural firm. The demolition of the 52-floor, 707-foot building will be the largest intentional demolition in history; past contenders include the 612-foot-tall Singer Building and the 517-foot-tall Deutsche Bank Building. Completed in 1961, the tower that now stands was designed by Gordon Bunshaft and Natalie de Blois for Skidmore, Owings & Merrill. The tower held a 50-year record for the tallest building designed by a woman. The new tower that will rise is headed for at least 1,400 feet, with 70 floors that will hold 6,000 JPMorgan Chase employees, making the new headquarters one of the tallest buildings in the city and the tallest office building by roof height. Posted: January 23rd, 2019 under General.